Get LOW Intro Rates At New DREAMS Resort Destinations For A Limited Time Only! 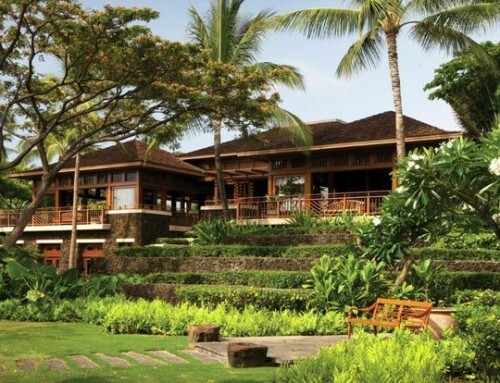 Keep reading to find out more about these luxury resorts! Enjoy the many amenities of Unlimited-Luxury®, where nearly everything is included. Your elegant accommodations, 24-hour room and concierge services, every gourmet meal, unlimited premium drinks, endless recreation and so much more. Preferred Club Privileges: Experience our highest level of luxury and personal service in the Preferred Club. Receive an upgraded suite in a premium location, access to a private lounge, special concierge services, preferred resort status and many other enhanced amenities. Gourmet Dining: Explore an international array of gourmet cuisine. Dine out at any of our á la carte restaurants, where reservations are never required. Or stay in and order room service at any hour day or night. Every meal is included as part of Unlimited-Luxury® World-Class Spa: Pamper yourself with a day of indulgent pleasure in our on-site spa. Choose from an array of rejuvenating spa packages featuring the latest hydrotherapy and indigenous treatments. Or simply work the kinks out with a relaxing massage. Family-Friendly Activities & Entertainment: Heat up on the dance floor or out on our private beach. 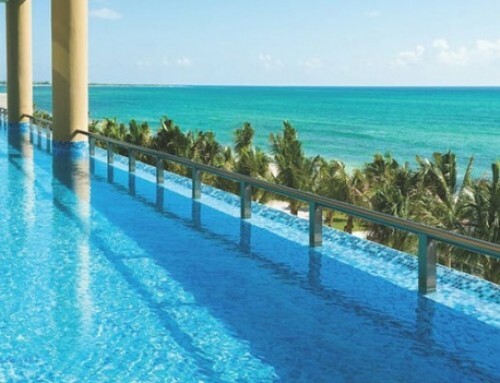 Then cool off in the crystal-clear ocean or in one of our shimmering pools. Kids and teens can enjoy special activities while their parents enjoy much needed alone time. Unlimited Connectivity: Stay connected with friends and family while you’re here. Download the Dreams Resorts & Spas app and enjoy free WiFi, free calling to the U.S., Canada and Mexico, portable room phone functionality, exclusive deals and more. Award-Winning Resorts: Our resorts in Mexico, the Dominican Republic, Costa Rica (Nov 2014), U.S. Virgin Islands (Dec 2014) and Panama (2016) have received prestigious awards from renowned travel companies and publications such as AAA, Travel Weekly, TripAdvisor and more! Dreams Resorts & Spas is proud to announce that they are venturing into a brand new tropical destination, Costa Rica! Coming November 1, 2014, Dreams Las Mareas Costa Rica will be a vibrant beach getaway for couples, families and singles to enjoy all the inclusions of an Unlimited-Luxury® escape in a privileged location. Located on sugar-white sand and surrounded by lush green mountains and jungles in the Guanacaste region of Costa Rica, guests of all ages enjoy an action–packed vacation featuring watersports, land activities, and swimming pools while sunbathing or laying under a thatched palapa. Continue the fun into the evenings with live nightly entertainment, outdoor bars and lounges and so much more! Preferred Club Privileges: Experience our highest level of luxury and personal service in the Preferred Club. Receive an upgraded suite in a premium location, access to a private lounge, special concierge services, preferred resort status and many other enhanced amenities. Gourmet Dining: Explore an international array of gourmet cuisine. Dine out at any of our á la carte restaurants, where reservations are never required. Or stay in and order room service at any hour day or night. Every meal is included as part of Unlimited-Luxury® World-Class Spa: Pamper yourself with a day of indulgent pleasure in our on-site spa. Choose from an array of rejuvenating spa packages featuring the latest hydrotherapy and indigenous treatments. Or simply work the kinks out with a relaxing massage. Family-Friendly Activities & Entertainment: Heat up on the dance floor or out on our private beach. 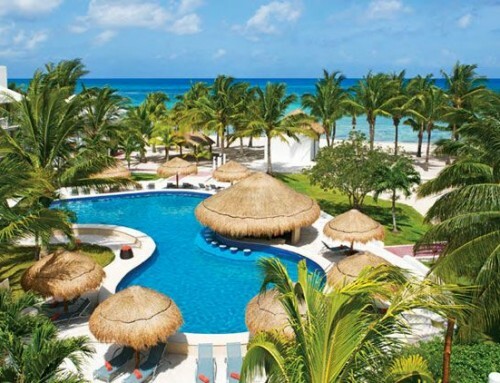 Then cool off in the crystal-clear ocean or in one of our shimmering pools. Kids and teens can enjoy special activities while their parents enjoy much needed alone time. Unlimited Connectivity: Stay connected with friends and family while you’re here. Download the Dreams Resorts & Spas app and enjoy free WiFi, free calling to the U.S., Canada and Mexico, portable room phone functionality, exclusive deals and more. Award-Winning Resorts: Our resorts in Mexico, the Dominican Republic, Costa Rica (Nov 2014), U.S. Virgin Islands (Dec 2014) and Panama (2016) have received prestigious awards from renowned travel companies and publications such as AAA, Travel Weekly, TripAdvisor and more! Set upon a lush tropical hillside, Dreams Sugar Bay St. Thomas is a family-friendly resort surrounded by sugary white sand and azure waters, opening this December 21st, 2014! Experience all the great inclusions of Unlimited-Luxury® at our newest beachfront resort in the island destination of St. Thomas, U.S. Virgin Islands – where there’s something fun for every age. Preferred Club Privileges: Experience our highest level of luxury and personal service in the Preferred Club. Receive an upgraded suite in a premium location, access to a private lounge, special concierge services, preferred resort status and many other enhanced amenities. Gourmet Dining: Explore an international array of gourmet cuisine. Dine out at any of our á la carte restaurants, where reservations are never required. Or stay in and order room service at any hour day or night. Every meal is included as part of Unlimited-Luxury® World-Class Spa: Pamper yourself with a day of indulgent pleasure in our on-site spa. Choose from an array of rejuvenating spa packages featuring the latest hydrotherapy and indigenous treatments. Or simply work the kinks out with a relaxing massage. Family-Friendly Activities & Entertainment: Heat up on the dance floor or out on our private beach. 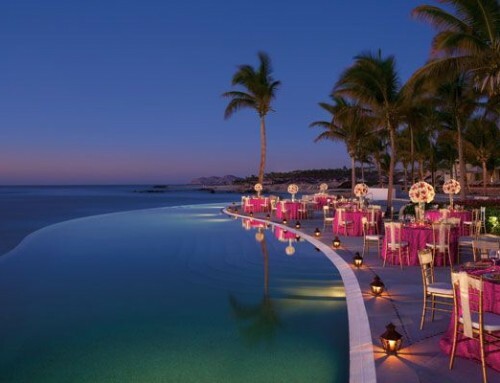 Then cool off in the crystal-clear ocean or in one of our shimmering pools. Kids and teens can enjoy special activities while their parents enjoy much needed alone time. Unlimited Connectivity: Stay connected with friends and family while you’re here. Download the Dreams Resorts & Spas app and enjoy free WiFi, free calling to the U.S., Canada and Mexico, portable room phone functionality, exclusive deals and more. Award-Winning Resorts: Our resorts in Mexico, the Dominican Republic, Costa Rica (Nov 2014), U.S. Virgin Islands (Dec 2014) and Panama (2016) have received prestigious awards from renowned travel companies and publications such as AAA, Travel Weekly, TripAdvisor and more! This offer is valid on all new reservations made at Dreams Sands Cancun Resort & Spa for travel from now through December 20th, starting at $134 USD per person, per night until further notice. Rates fluctuate by travel period. This offer is combinable with the Kids Stay Free in the Fall promotion. Blackout dates and holiday restrictions may apply. This offer is subject to availability and can be modified at any time. Valid for residents of the U.S. and Canada only. All pricing is based on USD. The Dreams Las Mareas Costa Rica special introductory offer is valid on all new reservations made at Dreams Las Mareas Costa Rica for travel from November 1, 2014 through December 23, 2014, starting at $159 per person, per night. Subject to availability. This special introductory offer is valid for the Junior Suite Mountain Jungle View room category. These prices are based on double occupancy, and do not include children. Blackout dates and holiday restrictions may apply. This offer is subject to availability and can be modified at any time. Valid for residents of U.S. and Canada only. All pricing is based on USD. The Kids Stay Free offer is valid on all new reservations made at Dreams Las Mareas Costa Rica when booking the special introductory offer for travel from November 1, 2014 through December 22, 2014, except from November 26, 2014 until November 29, 2014, inclusive. Up to two kids stay free when staying in the same room as two paying adults. This offer can be combined with other discounts or offers. Blackout dates and holiday restrictions may apply. Kids free offer is subject to availability and can modified at any time. This offer may be restricted to specific room categories and may vary by resort. Blackout and restrictions may apply and will vary by resort. Valid for US and Canada residents only at this time. Receive either $200 or $400 in resort coupons when booking the Preferred Club Junior Suite Garden View room category or higher. Spa treatment coupons are broken down in two coupons worth $40 and one coupon worth $20. Only one coupon can be redeemed per spa treatment. To use coupons for romantic dining, one $40 coupon and one $20 coupon may be combined, resulting in a total discount of $60 off one romantic dining experience. When using coupons towards wine purchases, only coupons worth $10 may be used and cannot be combined, therefore one $10 coupon can be applied toward one bottle of wine. Resort coupons cannot be applied toward the following items: beauty salon services, spa product purchases, telephone charges, dolphin experiences, gift shop purchases, boutique purchases, internet service, marina services, dive shop, medical services, car rentals and travel agency services. Resort Coupons must be redeemed at the time of reservation or service. Resort Coupons do not hold any cash or commercial value, are not refundable and non-transferable. They are not applicable for tips, taxes, private functions and/or special events such as Christmas and New Year’s Gala dinners. Resort Coupons are not accumulative and cannot be combined with any other promotion or special offer including, but not limited to spa treatment discounts. They are only valid during the original stay and cannot be deducted upon check out. 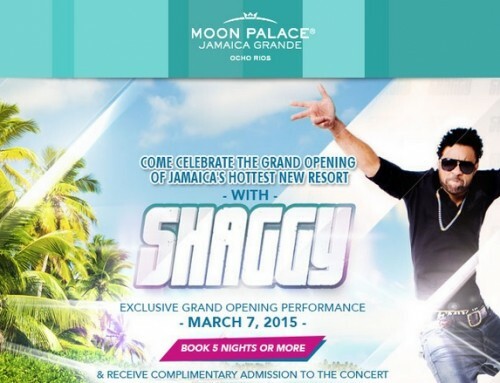 Not all resorts will participate in offering resort coupons. Resort coupon values given may vary by date. Restrictions and blackout dates apply. Not combinable with other promotions or special offers. This entire offer is based on availability and can be modified or closed out at any time. Employees of tour operators and wholesalers do not qualify. The Dreams Sugar Bay St. Thomas special introductory offer is valid on all new reservations made at Dreams Sugar Bay St. Thomas for travel from August 22, 2015 through October 30, 2015, starting at $203 per person, per night, until further notice. These prices are based on double occupancy. Blackout dates and holiday restrictions may apply. This offer is subject to availability and can be modified at any time. Valid for residents of the U.S. only. All pricing is based on USD.